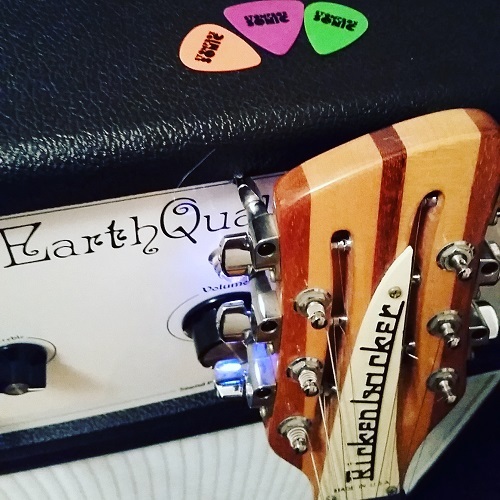 The EarthQuaker Devices Sound Projector 25 is here! The Sound Projector 25 is a 25-watt linear Class A tube amp designed by Joe Golden of EarthQuaker Devices. 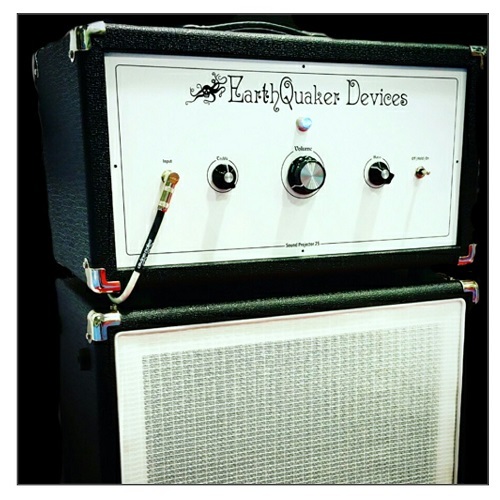 This is the first amplifier offering from EarthQuaker Devices and we couldn’t be more excited! It features a no nonsense volume, treble and bass interface and is a perfect platform for those who want a low wattage amp but still want a full spectrum tone. Don’t let the 25 watts fool you, due to its Class A design, this thing is LOUD! The preamp section of the Sound Projector 25 boasts 12AX7 preamp tubes and Jupiter Condenser Company capacitors (from right here in Ohio) for a classic well rounded sound. While it excels as a pedal platform at lower volume levels, it also offers up an impressive smooth and natural overdrive when cranked. The power amp section comes stock with KT66 power tubes. If that’s not your bag, it will support popular octal power tubes such as 6L6, EL34 and 6V6 due to its external bias test points and trim pot. Swapping power tubes is easy to do (even for a novice) and offers a wide variety of tones from a single amp! It also features a custom wound Heyboer power transformer and output transformer, solid state rectifier and a foot switchable gain boost as well as taps for 4, 8 or 16 ohm cabinets. The speaker cabinets are handmade out of high quality Baltic Birch with ultra rugged box joint construction and feature a partial open back design that delivers a powerful, full frequency response. 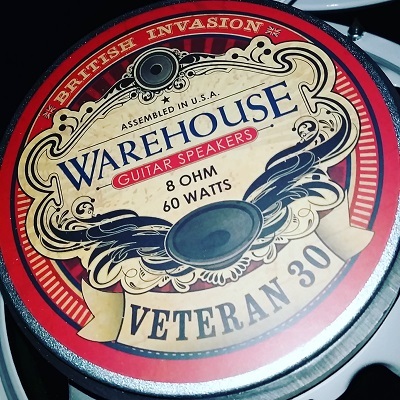 They come stock with two 12” Celestion Vintage 30’s or custom paired Warehouse guitar speakers. It was love at first sight when we first caught a glimpse of the SP25 at the Winter NAMM show. Well crafted and elegant in its simplicity. This is my first pair of Warehouse speakers. We opted to try these in the 2×12 cab since we have a few Celestion equipped options here at Stompbox Sonic. First impression: My Rickenbacker 12 string has never sounded better. Thick with a smooth jangle. The low end is not quite punchy, not quite thumpy. The lows just are. I am looking forward to hearing many more effect/guitar combinations with this amp (and these speakers).